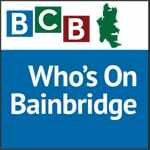 In this episode of Who’s On Bainbridge, Donna Harui, third generation owner of Bainbridge Gardens, talks about her family and the history of the Gardens. Donna Harui’s much-revered father, Junkoh Harui. Junkoh died in 2008, in the year of his 50th wedding anniversary with Chris, Donna’s Mother. Donna’s grandfather, Zenhichi Harui came to Bainbridge Island over 100 years ago, and like many others who immigrated from Japan, worked in the lumber industry. The elder Mr. Harui left mill work to become a farmer, grocer and florist, operating a general store in the area where the current nursery stands. Donna talks about customers coming in to the nursery with tales of visiting the general store as children. We are reminded that transportation on the island was not as it is today. Out of necessity, residents tended to shop within walking distance of their homes. Donna’s father, Junkoh Harui was a child during WWll and spent his adult life educating islanders and others about the internment of Japanese Americans during the war. Although other residents of Japanese ancestry were sent to camps, the Haruis, along with two other families, spent the duration of the war in Moses Lake. A peaceful rock resting point overlooking the Fairy Dell Ravine — one portion of the last Japanese Garden designed by Junkoh before his death. Their isolation was just as severe as those interned. Some of Junkoh’s siblings were in Japan at the outbreak of war and cut off from the family for those years. It is a hardship that Donna says is still difficult for some family members to discuss. Junkoh Harui married his wife Chris in 1958 and established Town and country flowers at the location of the T&C store in Winslow. 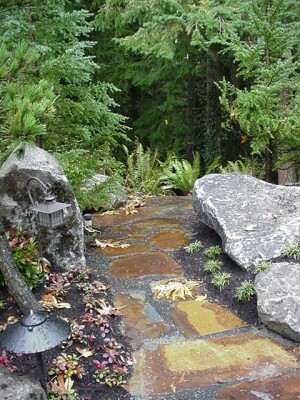 After tremendous growth and many moves, Junkoh and Chris Harui reestablished Bainbridge Gardens in its original location, that chosen by Junkoh’s father, Zenhichi, on Miller Road. Junkoh and Chris Harui celebrated their fiftieth wedding anniversary in 2008, the year of Junkoh’s death. Donna Harui, their eldest child, speaks with pride of her parents’ legacy which she carries on. 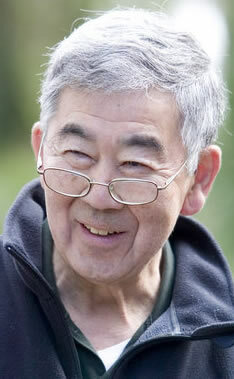 To learn more about the humanitarian work of Junkoh Harui on behalf of the Bainbridge Island Japanese American Community, listen to the next “Who’s On Bainbridge” podcast — with Lilly Kodama. The Bainbridge Island Historical Museum and the Bainbridge Island Japanese American Community are also good sources for those who would like to learn more about this history. Credit: BCB host: Barbara Golden; Studio tech and audio editor: Barry Peters; Music intro: Tim Bird; BCB ferry music: Dogfish Bay Studio; Podcast art: artopia creative.